Mariam Naficy has pioneered consumer Internet models since 1998, when she co-founded the first online cosmetics retailer, Eve.com, which was sold for over $100 million. Today, Mariam is the Founder & CEO @ Minted, the startup that uses crowdsourcing and analytics to bring the best designs to market faster than anyone. 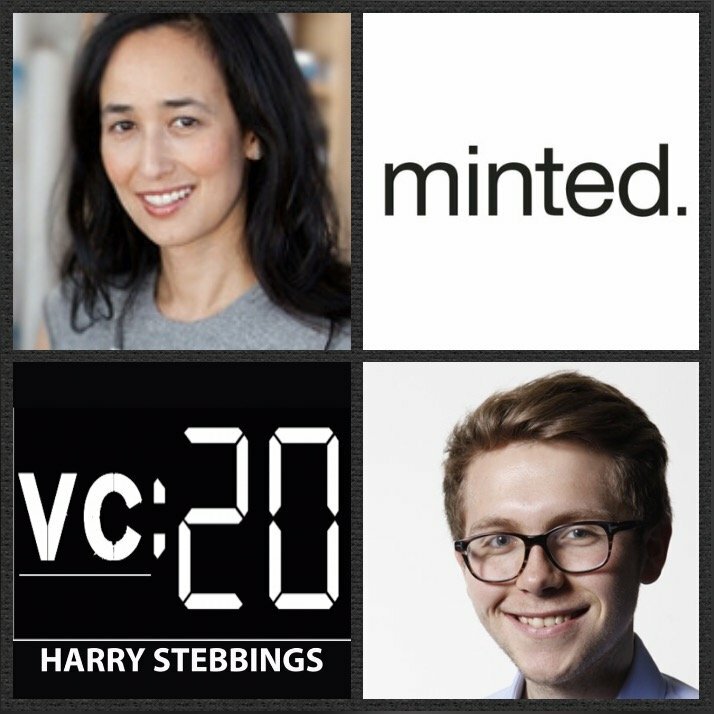 To date, Mariam has raised &89m in VC funding with Minted from some of the best in the business including our favourites Floodgate, Benchmark, Menlo, Slow, Ridge Ventures and then prominent individuals such as Marissa Meyer and Jeremy Stoppelman. In addition, Mariam sits on the Board of Yelp and Every Mother Counts. 1.) How Mariam made her way into startups from investment banking and came to sell her first startup, Eve, for $100m in cash within a year before founding Minted? 2.) What were the biggest lessons Mariam learnt from Eve and applied to Minted? Why did Mariam not want to pursue VC funding in the beginning with Minted? What was the inflection point in not taking VC to taking VC funds? 3.) How did Mariam think about capital efficiency in the early days of Minted? How did Mariam see that change with the sudden injection of VC capital? In the heavily funded landscape today, would Mariam have raised VC money from the start, if starting today? 4.) Mariam is a master of internal upscaling, what is the secret to creating a culture of internal continuous learning? Why is rotation within the company roles such a core element? How has Mariam’s assessment of people talent changed over the years? 5.) What would Mariam say is her greatest strength and he greatest weakness as a CEO? How has she seen this change with her 20 years of founding companies? How did having children change her outlook on managing people? As always you can follow Harry, The Twenty Minute VC and Mariam on Twitter here!